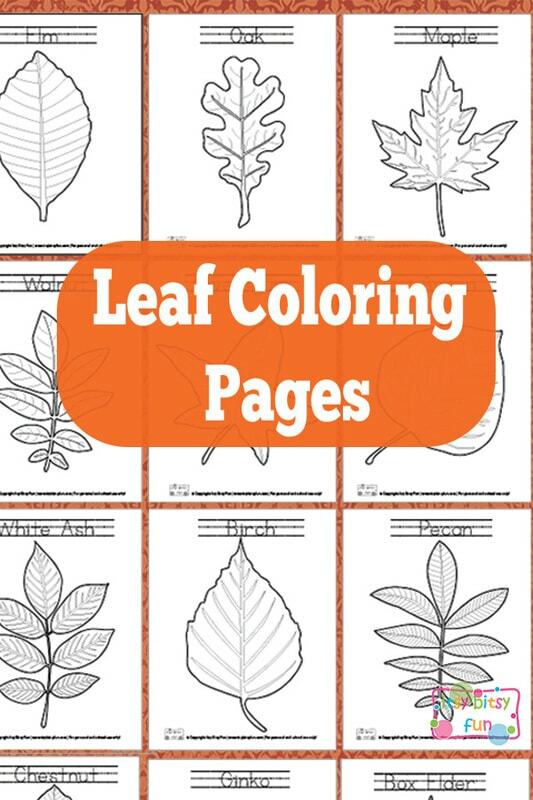 Leaves have already started falling down the trees – a perfect time to learn something about them and these leaf coloring pages will be of help! There are so many colorful things going on in fall and as school starts this is a great season for learning! 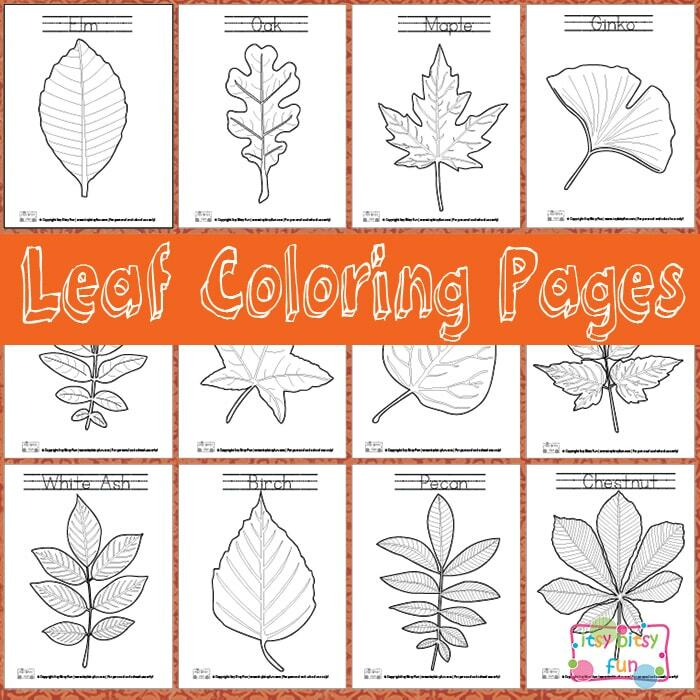 Young learners will love playing with printable fall file folder games, while kids who are already starting to learn how to write will enjoy these coloring pages as it will let them identify leaves as well as do some letter tracing. Lets do some tracing and coloring! 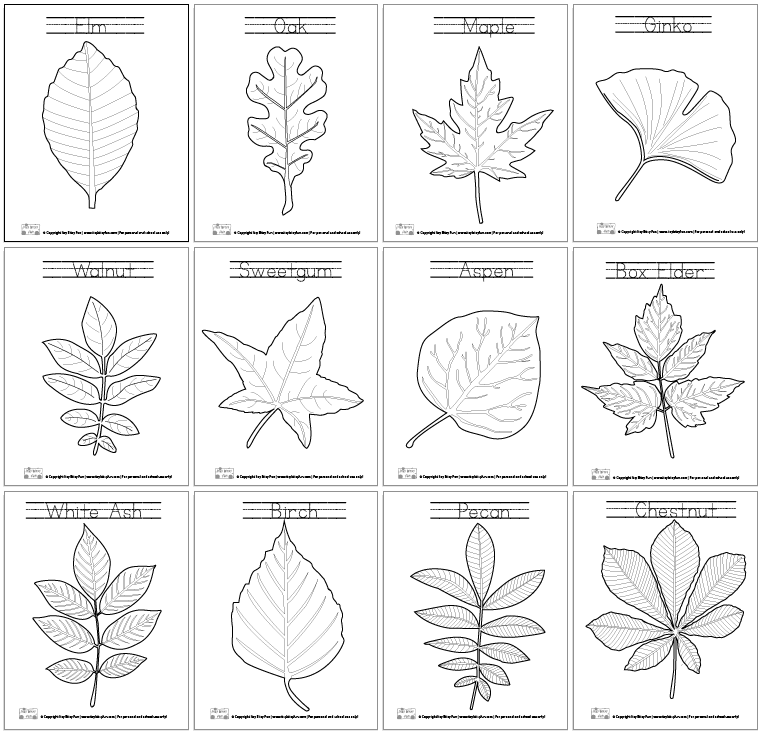 There are quite a few different leaves in this printable pack – I tried to include all of the most common trees found in the USA and around the world – so you will find maple, acer, chestnut, oak, sweetgum, birch, ginko, pecan (amongst others). I recommend you print those that are local to your area so that kids will easily recognize them. You can have the kids go out on a leaf scavenger hunt when they are done coloring (or before) for even more learning fun. I should warn you though some of the leaves might not look exactly like the ones in your area as there are slight variations between subspecies of a certain tree (pecan, walnut and white ash being one example as their leaves can look very alike). That said let’s color some leaf coloring pages!